Sooooo, having just finished watching Disney’s Hercules, here are some initial thoughts that will be concluded tomorrow. 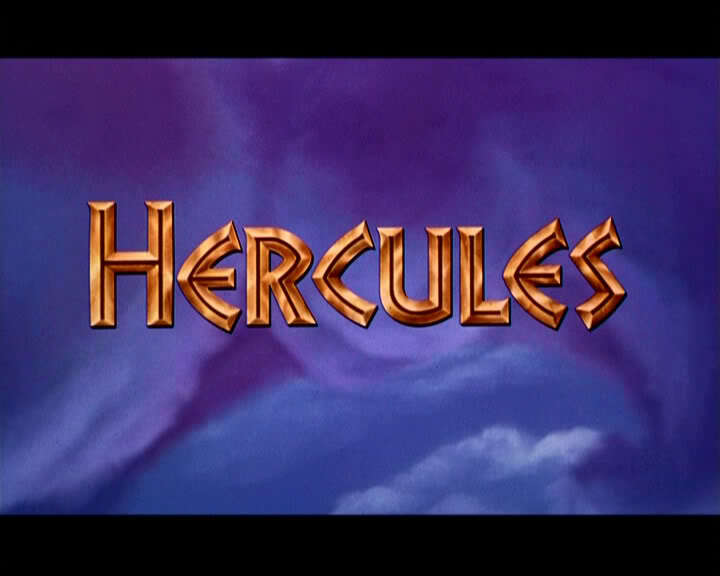 Released in 1997, Hercules continues the Disney tradition of releasing a “classic” film every year/couple of years which in the preceding years had borne witness to Beauty & The Beast, Aladdin, The Lion King and Pochahontas. Many people will agree that things began sliding downhill with the departure of Jeffrey Katzenburg for greener pastures prior to Pochahontas. I tend to agree but I would say that the slide was more the result of weak leadership rather than problems in the creative department. That debate is for another time. Today, I’m focusing on the plot, the songs and the background design. Tomorrow it’ll be animation, characters and character design. Starting with the plot, the basic set-up is that Hades, the brother of Zeus hatches a plan to take over the world but first he must eliminate Zeus’ son Hercules. Through his incompetent minions who fail to finish the task, Hercules doesn’t die but instead turns mortal. We then get a short scene where we discover how he does not fit in with those around him. Once Hercules meets his father Zeus, he goes to find Phil, his trainer. After some training, Hercules is not a striking young lad with enormous strength. Before he can become a true hero ad return to Mount Olympus, he must first prove himself. Enter Meg, whom he saves from a monster. As it turns out, she’s in the pocket of Hades because of some deal she did with him back in the day and must obey his every whim if she’s ever going to get her soul back. So, to wrap up the entire thing, the planets align and Hades begins his assault on Mounts Olympus. Hercules fights him and saves the day, only for Meg to die along the way and descend into Hell (or whatever the Greeks called it). Hercules offers to swap himself for Meg and in the process regains his immortality and becomes a god. In the end, he decides to stay on earth with Meg after falling in love with her. The End. As far as the story goes, it’s pretty straightforward. There are no intricate twists save for Meg’s relationship with Hades. As far as being accurate goes, you’d bet better off watching that Chuck Jones Tom & Jerry cartoon. Of course there is no need for it to be accurate, it’s just a story. If we are willing to believe that a guy can lift a house, we can surely believe that Zeus put Hades down below instead of them casting lots for it. One things that I absolutely loved about the story was the use of the Muses as sometime narrators and, well, muses! Although they make the film seem more like a play (which really changes the pitch of the film) they add some spice to what could have been just another movie. Interestingly enough, this was the first Disney movie to be based on mythology rather than the usual fairytale. This choice of source material makes a great change from the many films that went before. No princesses in this movie! it is a shame that they haven’t really returned to it since as Greek plays have been a source of entertainment and creativity for millennia. With that, onto the songs! I’ll just say it straight out, Aladdin is my all-time favourite when it comes to songs. With that in mind, I rate every film against it and while I try to remember that different films require different musical styles, I have yet to fins one that comes close. The songs in Hercules try to convey the many conflicting emotions being felt by the characters. Be it Hercules wanting to fit in, Phil debating whether to train another hero, the Muses montage in the middle, or Meg’s song where it becomes clear she’s fallen in love. The key thing to all these songs is the singalongability™, which I would rate as OK. Granted the songs match the overall serious tone of the film, but you don’t hear people singing those songs for a reason. Which lead me on to the score itself. Leaving aside the usual orchestral score that does its job in the dramatic parts, it was great to hear some stuff that could have come straight out of the 1950s. If you know your Ren & Stimpy, you’ll know that John K. resurrected a lot of similar music for his show. Which makes it all the more surprising to hear similar music in a film like this. Be it the clarinet solos, the blares of trumpets or the quick tap of a xylophone. They add enormous emphasis to the lighter parts of the film that could otherwise have been so easily accomplished with an orchestra the same as the rest of the film. This music serves to divide the film into two parts: the fun part and the serious part and makes an excellent, if somewhat sub-conscious contrast between the two. Personally, I think we need to see much more of this type of music in animated films. The Incredibles score makes some fantastic use of 60s brass and percussion that equals the best that James Bond put out. Tomorrow, the more interesting stuff. Like backgrounds! Characters! Character designs! (try and guess my favourite).